The grinding humiliation of Greece and the sacrificing of its people – especially the jobless youth – on the altar of austerity will fundamentally shift the debate about UK membership of the European Union. The once passionate pro-European voices are stilled, seemly without a narrative to justify the actions of institutions they want us to remain members of. The long-term British distrust of European institutions will be a powerful factor in the referendum when it finally comes, reinforced by the re-emergence of the Germans as the bullies of Europe. These are deep, at times almost visceral emotions in this country and once they come to the surface rational debate will be hard. What is the case for Europe now? 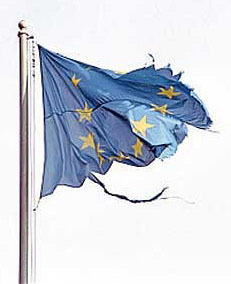 But what is the rational case for the European institutions we will be asked to vote for or against? They have long since lost sight of the sort of dream of mutually supportive European co-operation that has made me a long time supporter of the EU and its predecessors. I’ve shrugged off the bloated bureaucracy, the obvious democratic deficit within EU institutions and the almost imperialist ambitions behind the expansion of its boundaries but I cannot turn a blind eye to the economic insanity and callous treatment of Greek democracy and of its people. Where is the narrative to justify that? Some pro-Europeans will attempt to split hairs and argue that the Greek crisis is an issue for the Eurozone countries alone and not the wider EU to which the UK belongs. That doesn’t wash as the European Commission is a key member of the troika and hasn’t made any attempt to represent a different or broader perspective. The president of the the European Council, Donald Tusk, has also vociferously joined the cheerleaders for the bullies when he could – and should – have stood back in order to play a more conciliatory role. European institutions have made themselves indivisible and in doing so have made the pro-EU case much harder to put in the UK. 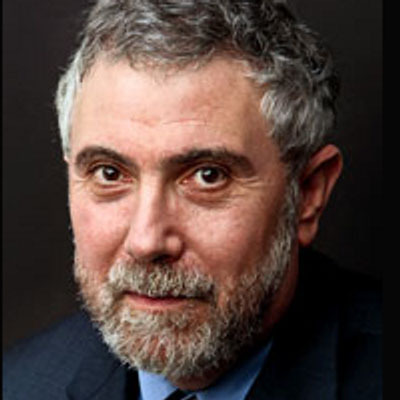 The finest economist of our generation, Paul Krugman, believes the European project may have been dealt a fatal blow by its mishandling of the Greek debt crisis. If the UK leaves then it will be dead. I always thought the UK referendum would be a forgone conclusion with a 60-40 vote in favour, similar to 1975. I now think it is very hard to call and it is the very institutions that the pro-Europeans want us to remain members of that have done the most damage to their cause. If asked today how I would vote I would have to say I really don’t know. I never thought I would be put in that position.